Notes: Deed Restriction: Second Parties agree that said premises will not be used before April 14, 1929 for the business of General photography or maintaining a photograph gallery. Susie Burdick Fenton Longstreet’s niece, Etoile, was married to Charles B. “Bert” Howe. It is possible that the Frank Howe who sold this lot to Harmon and Susie was somehow related to that family, but I have no evidence that he was. This lot is from the original town plat of Manton, I have illustrated the location on a section of the old 1889 atlas 1. You can click the thumbnail to view an enlarged version. It is possible to take a look at the current configuration of this area in Google maps. 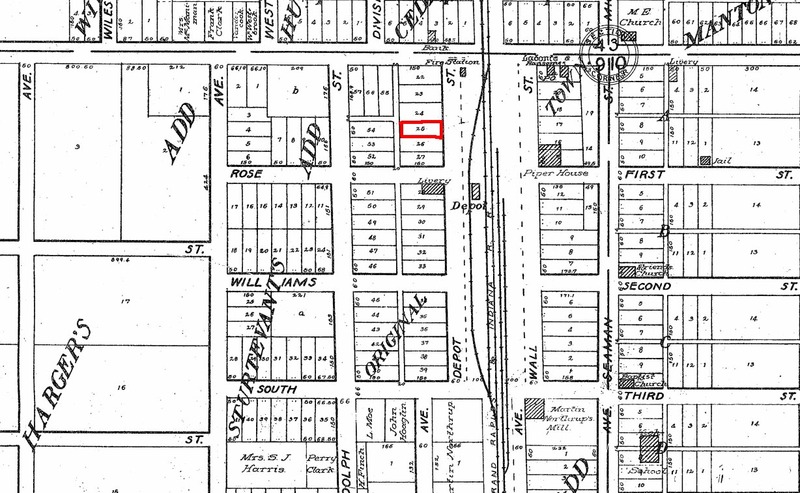 Depot Street has been re-named State Street since this atlas was printed, and what was known as Seaman Ave is now Michigan Avenue (old US 131). 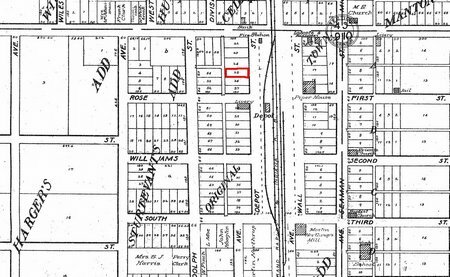 Keep in mind that lot 26 is the third lot north of the corner of Rose and State Street. E.L. Hayes & Co., Atlas of Wexford County, Michigan / compiled by Eli L. Hayes from government surveys, county and township records, and personal investigations and observations , Eli L. Hayes, (Chicago, Ill.: E.L. Hayes & Co., 1889), 21; digital images, The University of Michigan. Michigan County Histories and Atlases. http://name.umdl.umich.edu/3928170.0001.001 : accessed 7 January 2010.